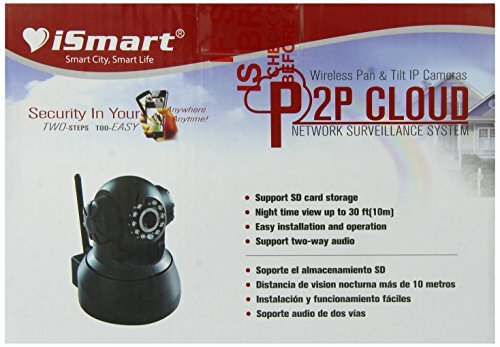 Wireless WiFi Pan Tilt Smartphone Baby Monitor Home IP Camera with Night Vision and Motion Detect P2P QR Code scanning auto connection set up. WFB2013 Features: -Video, audio, alerts on iPhone, iPad, Android, Mac, PC on WiFi or 3G/4G. -New faster, more powerful chipset. -Streams Exceptionally Smooth Video. -Built in "nanny cam" DVR. Product Type: -Video Monitors/Digital Monitors. Video: -Yes. Internet Compatible: -Yes. Nightlight: -Yes. Wireless: -Yes. Generic Specifications: -H.264 video = less bandwidth, better image quality. -WiFi "N"-up to 5x WiFi range 2x speed. Generic Dimensions: -3'' H x 3'' W x 1'' D, 3 0.19 lb. Dimensions: Overall Product Weight: -0.19 Pounds. 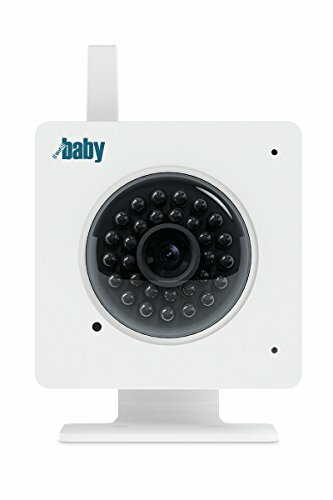 WiFi Baby is a top-rated wireless network-based monitor and Nanny Cam that keeps you connected to your child via apps on iPhone, iPad or Android. Anywhere. 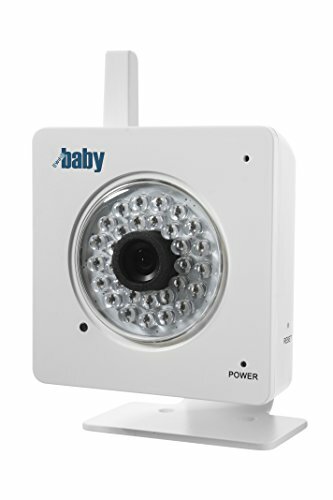 WiFi Baby 4 (WFB2015) features HD video, a 35% wider field of view and developed with larger screen phones and tablets in mind. "Beautiful day or night video, peace of mind - check in securely, anywhere" -time review top reviews by time, engaged and parenting sites. Company video: youtu.be/kkhldhlt0qg Free Wi-Fi baby iOS app (iOS 7, 8+) Wi-Fi baby 3: we've refined what customers love about Wi-Fi baby and enhanced our top reviewed Wi-Fi network baby monitor by adding requested features and a streamlined user experience. 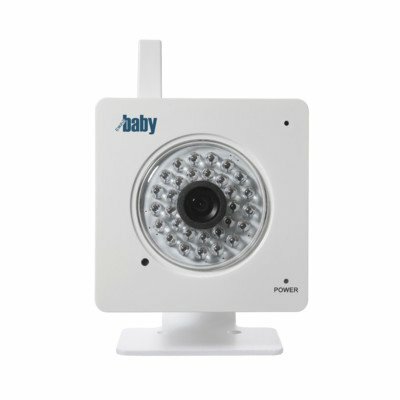 Wi-Fi baby 3 is a wireless monitor and nanny cam. Using the camera's DVR, you can record while you're at work or date night. No viewing or recording fees. Ever. No cloud service or account required. Connect via secure "MyWiFiBaby" URL on iOS, android, mac, pc. Anywhere. Features at a glance free iOS app. Android $3.99. Video, audio, alerts on iPhone, iPad, android, mac, Piece on Wi-Fi or LTE, 4g. Anywhere superior "true color" video streamlined setup - secure "MyWiFiBaby" URL for "away" nanny cam viewing MyWiFi pro - free expert setup help - phone or screen share by request during the day, night or weekend faster chipset, real-time video via apps : multitask with audio, alerts(alerts iOS only) expandable. 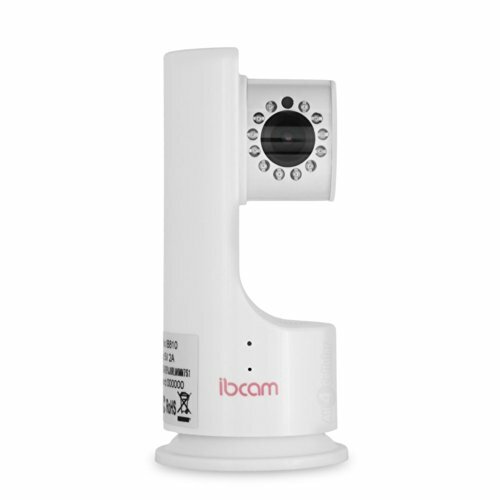 Up to 4 Wi-Fi baby cameras on screen (sold separately) -simultaneous video, audio, alerts (iOS feature only) bandwidth friendly - h.264 Video, streams when "called" by apps built in "nanny cam" DVR up to 32g night vision up to 30 feet. Compatible up to latest OS: iOS 8+ android 4.4+, Mavericks, windows 8 in box: camera, stand, ac adapter, setup guide, power cable clips, screws.